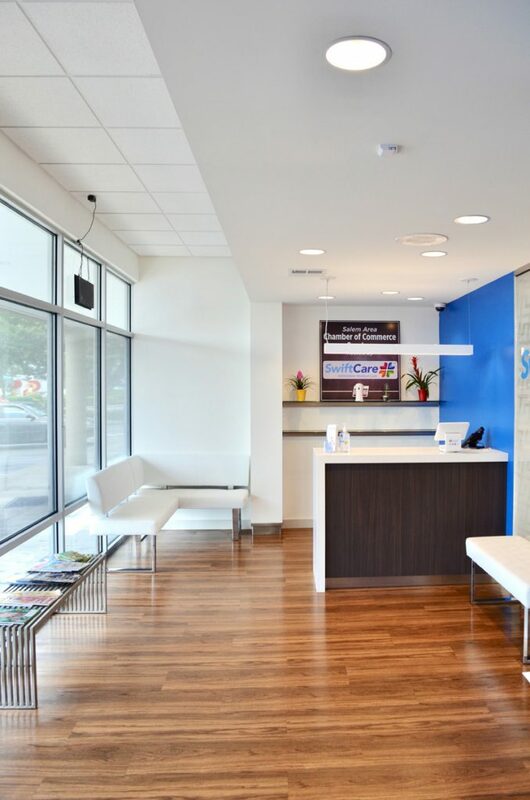 The design goal for this new urgent care facility was to create a new brand identity with contemporary design elements that could easily be transferred to future outlets. 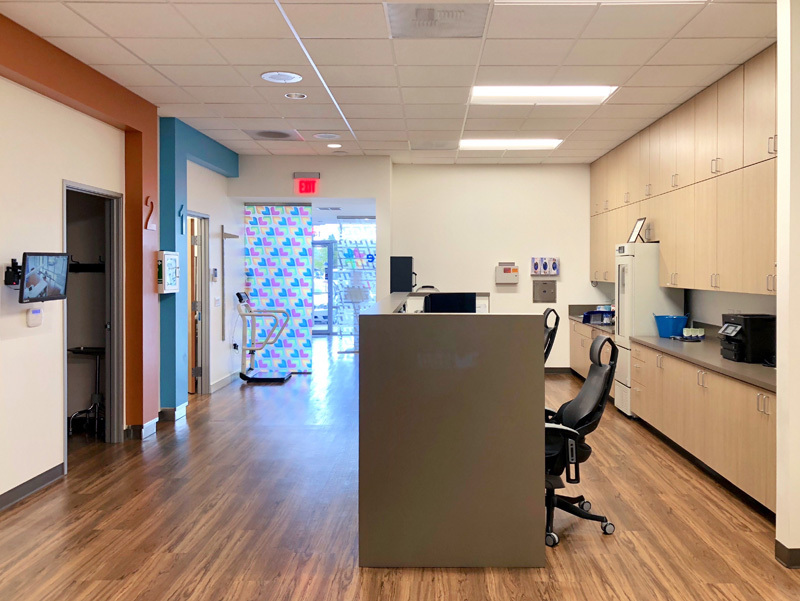 The 1,900 square foot tenant space was transformed with a welcoming entry lobby, a semi-private therapy space with nurse work stations, and private rooms for exams and consultation. 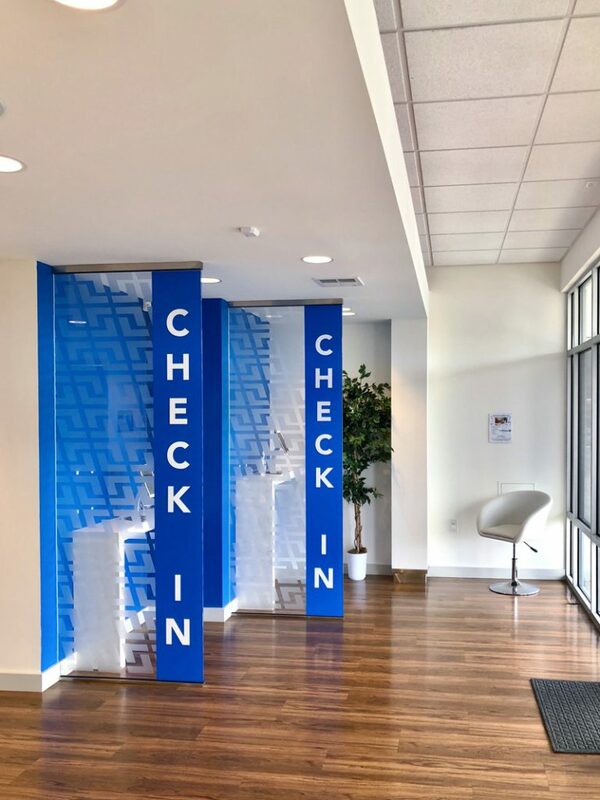 Valuing efficient online scheduling and promptly serving their patients, the waiting area was intentionally designed to be small with two self-check-in counters and a sleek check-out space. 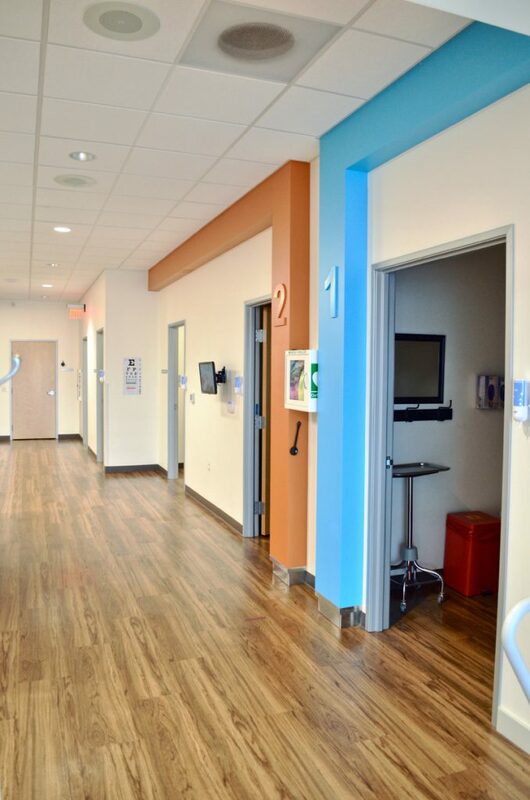 The finishes used throughout the space were simplified and utilized in a way to emphasize modern lines with easy cleanability. 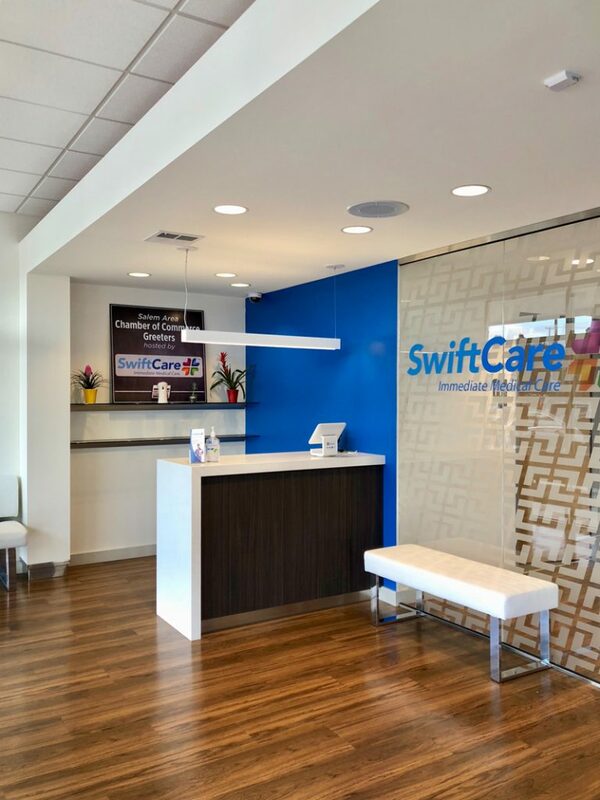 Bright pops of color from the Swiftcare branding were incorporated throughout the space to evoke fun and brighten the moods of patients.